NYC's 1,000 Free Concerts Are Music To Our Ears! It's hot, like hot hot. There's no question. If the back of your neck wasn't glistening by the time you made it to work today, then you must be superhuman or have the world's best antiperspirant. However, when we found out there are over 1,000 free concerts happening across the state today, we realized there are certain occasions that warrant braving the heat. 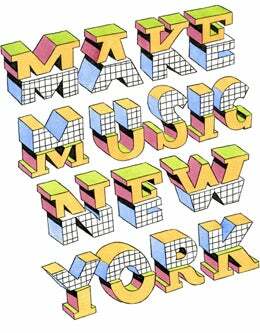 Thanks to the 2012 Make Music New York Festival, there are music performance gratis all day spanning from Staten Island to The Bronx. You can even participate yourself by joining the pick-up chorus tonight near Times Square. Center stage not your thing? Then just check out the website to search for your favorite artists, venues, and concert times and enjoy the free jam sesh. We suggests bringing lots of water, little clothing, and your dancing shoes!